You guys, I think I have a new favorite Scripture verse. Everything?! I want to know everything! Why isn’t “everything” just explained in the Gospel? If Jesus did and said more, why isn’t it all here in His Word? Why doesn’t He just lay it all out up front? The crazy thing is, those questions answer themselves in the very same verse: to His own disciples He explained everything. Only His disciples get to know everything. People who aren’t His disciples yet aren’t ready for it all. It is because He is full of wisdom and mercy that He doesn’t tell us everything before we can bear it, before we can possibly understand it. Because if we were to hear it, we would need to be obedient to it. So if we’re not ready to be obedient, we’re not ready to hear everything. How do we become His disciples? Check out that verse one more time. We spend time with Him—IN PRIVATE. When we pray, we’re doing more than our duty to God. We are building and sustaining a relationship with a living Person. We receive more and more of His love until we become rooted in it, secure in our identity as His beloved daughters. And as we come to know Him for who He really is, we are able to trust Him more. Suddenly obedience isn’t about following rules, it is a natural response to a deep love felt and reciprocated. 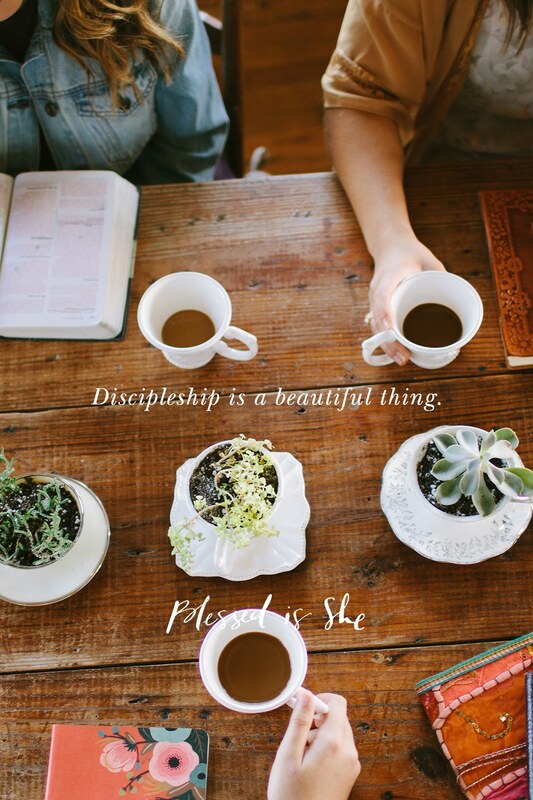 Discipleship really is a beautiful thing. I’m not promising that all the answers to your questions or your heart’s desires will be revealed in relationship with Jesus. He’s not dangling a carrot on a stick, enticing you to come closer before He spills the goods. Sometimes we will not understand this side of Heaven. But I promise you that Jesus Himself IS the answer. To every question, every pain, every longing. And He explains everything for those who love Him. If we’re not ready to be obedient, we’re not ready to hear everything. Go to the Adoration Chapel. Clasp your Rosary. Pour over Scripture. Get to Mass. Find time for Him. Previous Post Am I Willing to be Converted? Beautiful, Beth! Of course you wrote today’s reflection! I always look forward to seeing the author’s name. As I relate to every word you’ve expressed, I recognize that your written words reflect your Teachable Tuesdays. “Only his disciples know everything.” “Speak to him in private.” We just had the same conversation in our Endow group. God Bless You! Love this, I always wondered about Jesus’ statement too and had the same questions… why doesn’t He reveal it plainly for all? Now I understand that He does to His disciples in private when we come to Him in prayer and are receptive to hearing Him. These are the moments that He reveals His truths to me the most, I just hadn’t thought about this particular verse in that way. Your reflection is INCREDIBLE. I have struggled with this same question for years. Come on Jesus, whattheheck?! I want to be on the inside too and understand what it is you are saying in full! It unfortunately never dawned on me that maybe I wasn’t ready, or hadn’t asked him privately for these revelations, before jumping to self-pity and complaints. Truly an amazing reflection. Thank you thank you. That is the exact verse I copied into my notebook as I read this reading. And then scrolled down and saw it was the one you chose as well. I had written that we need to be close to Him in order to hear and understand Him, but what you said about obedience really got to me. Goodness gracious! This was so wonderful to read during this time in my life. God truly used your words in my life today. Thank you for speaking God’s truth in such a lovely and relatable way!